Soosiamanickam Arockiasamy is the Reliability Manager at Salalah Methanol Company with responsibility for Reliability of the Methanol Plant. Prior to joining Salalah Methanol Company, Arockiasamy worked in Plant Inspection and Construction Inspection in several companies, including SAAJGAS UAE, QAFAC Qatar, and ABS Consulting Middle East. 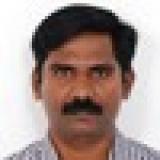 Arockiasamy received bachelor degree in Mechanical from Regional Engineering College, Trichy. His professional interests focus on asset integrity management study, RCA on SCC and high temperature effect on plant materials and his current projects include details study on behavior dissimilar metal weld at high temperature. Study on heat exchanger failures due to SCC in various petrochemical plants. Address the importance of learning through incidents and inspection related failures to grow and move forward in more efficient and accurate inspection performance. Discuss experiences in inspection and share each others failures and incidents to discuss common best practices in moving forward. Check out the incredible speaker line-up to see who will be joining Soosiamanickam.